Situated opposite the beach, the small but gorgeous San Sebastià Cemetery in Sitges, Spain, is known for its 19th century funerary art, created by known sculptors such as Josep Llimona, Enric Sagnier, Pere Jou, and Manel Fluxà. 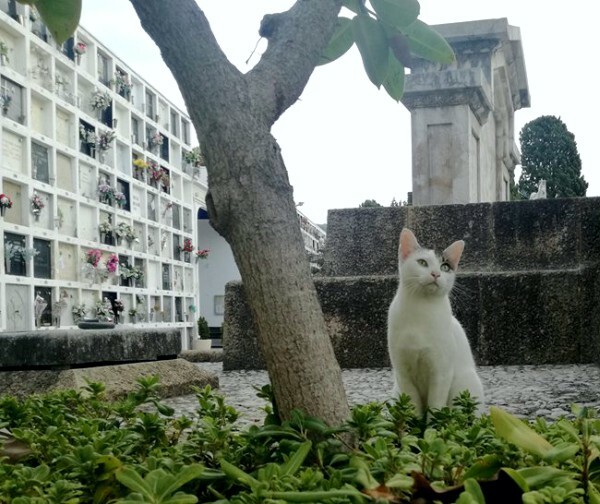 Unlike many other cemeteries – like the ones of Buenos Aires, Montmartre, and Yanaka – the San Sebastià Cemetery, is home to only one cat. 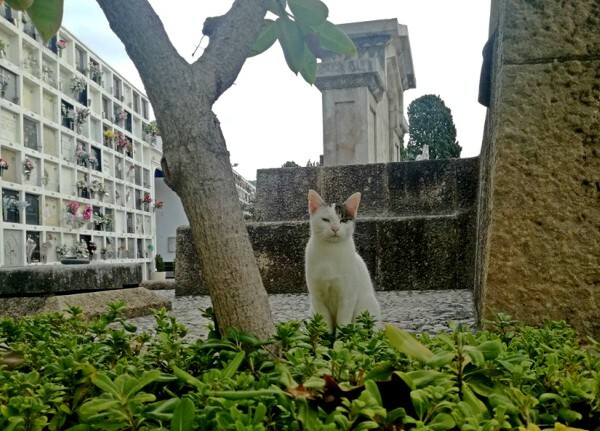 "I just came out of the screening of Jupiter's Moon at the Sitges Film Festival and wanted to photograph the morning light in the cemetery when this cat approached me," Vanity Celis told Traveling Cats. "I was sitting on a bench, looking at the gravestones, when she turned the left corner and came walking in my direction. She was far from anxious, just curious. 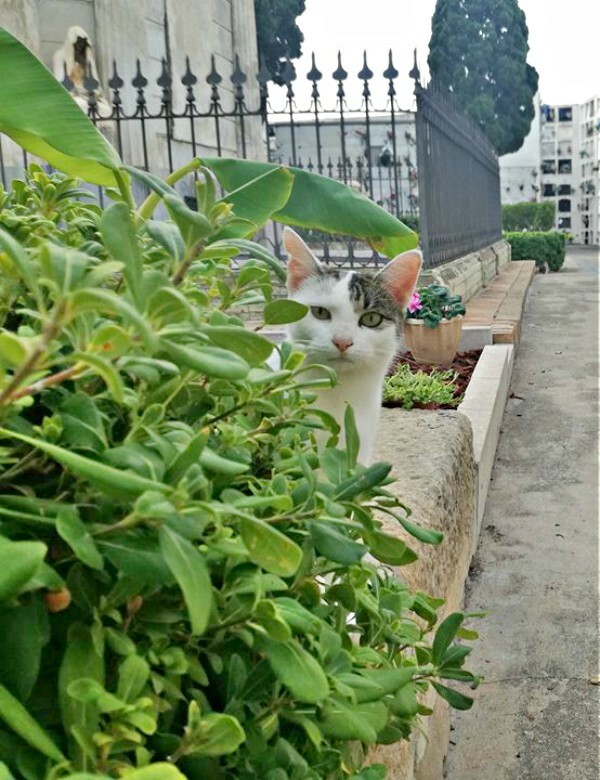 I lured her with little sounds, and she meowed back at me." 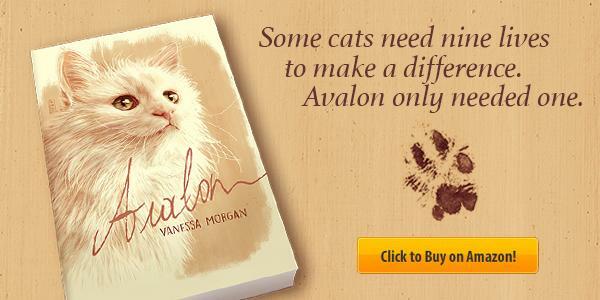 “She rolled around on the ground in the proximity of the bench before coming over for head butts. She was much softer than I expected because, from a distance, her coat looked quite rough," Vanity Celis told Traveling Cats. 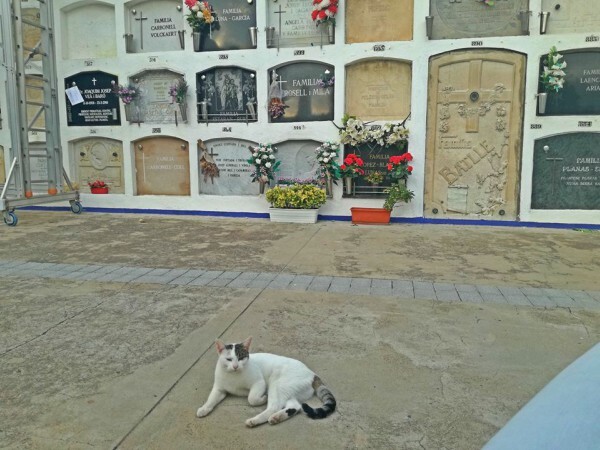 "I was alone at the cemetery that day, which was probably the reason why the cat felt safe enough to come looking for attention. 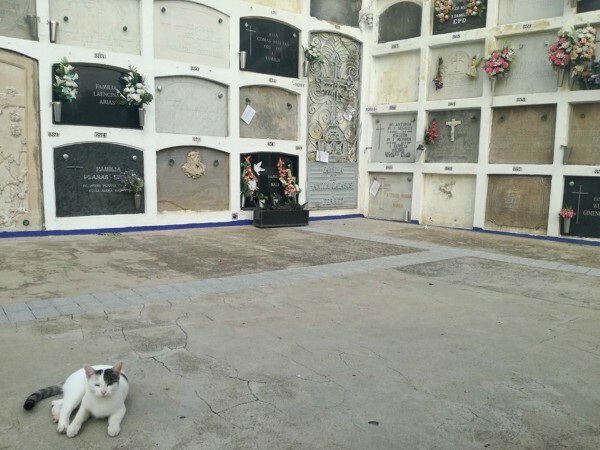 I also visited the San Sebastià cemetery the day before, but it was much busier then." I'd like to see more of the cemetery. Hello, She is a beautiful cat. The photos are so cute, I just love the first shot. The cemetery is pretty. Thanks so much linking up and sharing your post. Happy Saturday, enjoy your day and weekend. She is beautiful marked especially her head markings. Have a wonderful weekend. 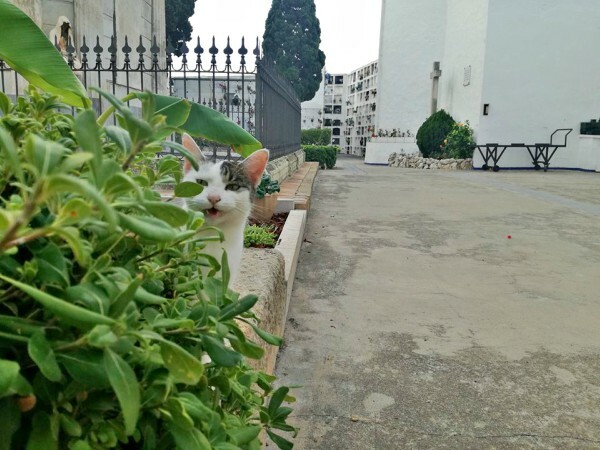 What a lovely collection of cat photographs! So cute!!!! Have a great weekend!